If you are planning on making a long distance move, chances are you already have a lot on your plate in regards to getting everything moved successfully. One thing that can get lost in the shuffle is how to get your vehicle to your new home. If you don’t have the energy or means to drive the care across the country yourself, shipping your vehicle presents a viable option. However, before shipping your vehicle any amount of distance there are some things you must do to prepare your car for shipment. The first thing to do when preparing your car for shipment is to wash and detail it. It is a good idea to do this a day or two before it is scheduled to be shipped. 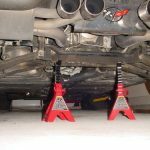 This will make it easier to do an inspection once the car reaches its final destination and determine if any damage was done to the car during transport. Taking pictures prior to shipment can be helpful as this will provide you with documented evidence to present to the car transport company in the event there are any damages. Along with cleaning your car, it is also necessary to remove any and all personal items within it. This includes any loose items as well as detachable items such as CD decks or extra speakers. Also, it is wise to remove any aftermarket accessories like spoilers and ski racks, as these items could get damaged during transport. Although the car is being transported rather than driving, it is still important to run a thorough check on the vehicle. Start by checking all the fluids in the vehicle and ensure that there is no less than 1/8 tank of gas and no more than ¼ tank of gas in the car. Verify that there are no leaks as this could lead to your car leaking on other vehicles during shipping. It is also important to take into account things like coolant if you are shipping your car to a location with a different climate. It is also necessary to check the battery and brakes to make sure they are functioning properly and check the pressure in your tires as well. Another thing you must do prior to shipping your vehicle is disable any alarms. It is important to disable these alarms because if they go off during transport the driver will have no way of deactivating them. 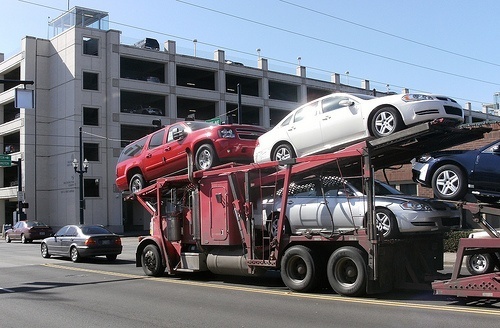 Finally, before you send your car off to be shipped across the country it is imperative that you establish some of contact with either the driver or at least the company transporting your vehicle. This will give you a way to track your vehicle and stay updated on its progress. Many companies will give you an office phone number or email as a form of contact, but the best option is to get the driver’s cell number for a direct line of communication. Prior to shipping your car any amount of distance, it is important that you first consider the things mentioned here. Taking these necessary steps will ensure that your vehicle is sufficiently prepared for the journey. This will make your car’s shipment run more smoothly and mitigate any potential issues that could arise. Author Jeanne Lonhorne is a freelance writer and auto shipping expert. She currently writes on behalf of American Auto Move about news related to the vehicle shipping industry. 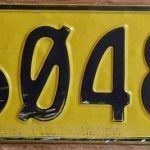 Vehicle Registration Plates – Are Your Plates Valuable?